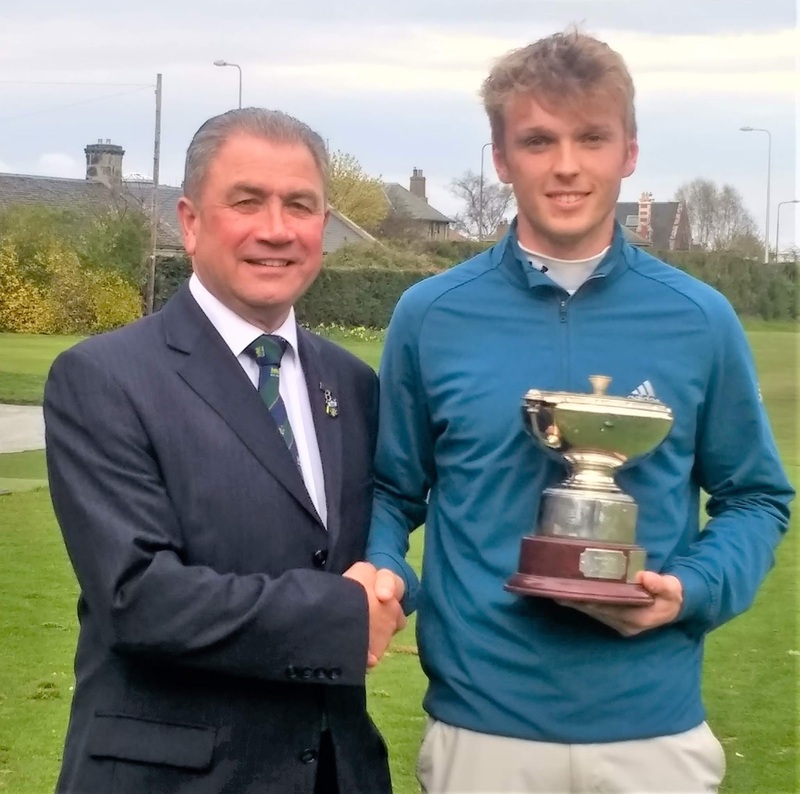 Joe Bryce (right) receives the Craigmillar Park Open winner's trophy from club captain John Humphrey. Joe Bryce, right, overcame a second-round, three-over-par 73 by covering the last 36 holes - played in cold, testing conditions in 11 under par with scores of 65 and 64 to surge up the Sunday leaderboard and win the Craigmillar Park Open by two strokes. The Bathgate player, who intends turning professional later in the year and currently works behind the counter in the club pro's shop, had been in T12 position, 11 strokes off the lead after two rounds, but he finished the tournament at the head of affairs with two shots to spare over joint runners-up Lewis Irvine (Kirkhill) and James White (Lundin) who both finished on 272. White had been the halfway leader and Irvine was in the pole position after 54 holes. Leading North of Scotland player Jeff Wright (Forres) tied for ninth place on three-under 277 despite a triple bogey 8 at the 14th in his final-round 69. Wright birdied the 17th and 18th to make the top 10.